call Mark at (313) 820-2206! A Zyto report is a presentation of data gathered through a biosurvey, which is an exchange of information between the computer and the body. 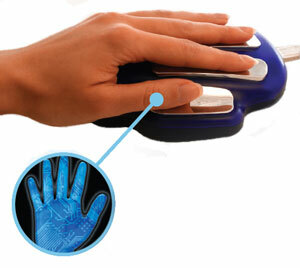 During the scan, the Zyto hand cradle measures your body's Galvanic Skin Response, or the change in electrical resistance of the skin caused by emotional distress. Kind of like how a lie-detector works. After the scan, organs and body parts in distress will show up as virtual items that are then recorded and analyzed to generate the specific report for each individual person, which is represented next. Your Dynamic Profile: Everyone has a dynamic profile. Dynamic profiling is a snapshot of the body's energetic state at the time of the initial scan. The data represented in this profile is used to identify extreme responses and make comparisons with measurements from balancer scans, as explained above. With the results from the reading, we are able to see which parts of the body are in distress or out of balance. These results are good to have a copy of, that way you have a breakdown and overview of your body without going to the doctors office! Keep in mind that a Zyto report is NOT a diagnosis but rather, an insight into the body. If wanted, the patient may take home a list of supplements to help with their specific problems, suggested by Zyto or Mark, our Naturopath! This will usually print with the report. BioMarkers: A subset of virtual items that represent anatomical landmarks such as teeth, vertebre, organs, etc. In the stress profile, each biomarker is represented by a dot. 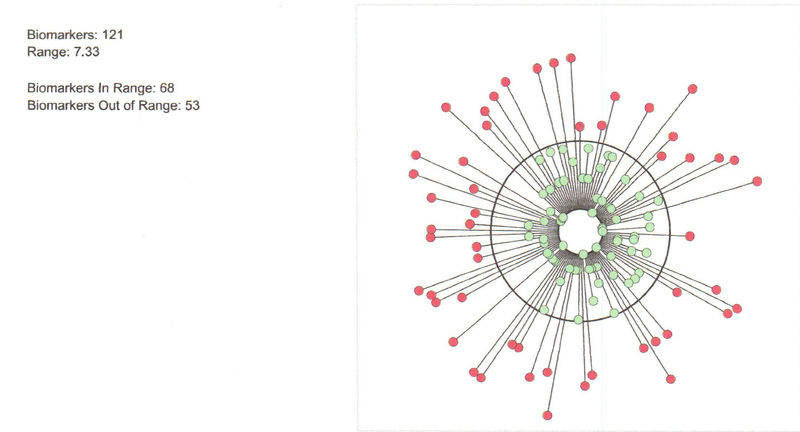 In Range Biomarkers: These biomarker virtual items measured that did not exceed the range boundary, displayed in green dots inside the circle. Out of Range Biomarkers: These biomarker virtual items measured that exceeded the range boundary, shown as red dots outside the circle. To book a Zyto reading, call Mark at (313) 820-2206!